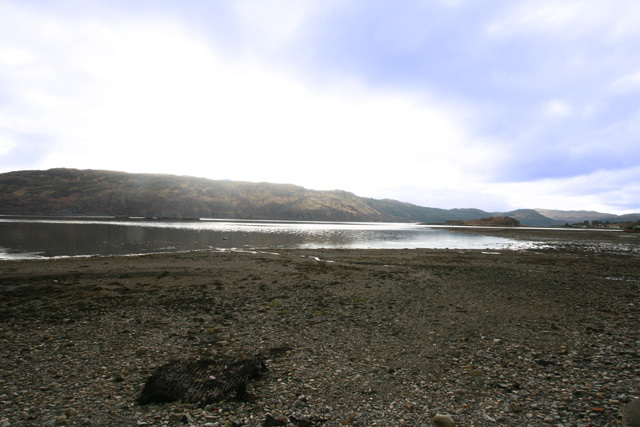 Seabank Cottage sits in an enviable shoreline position in the village of Lochcarron. Standing alone, the cottage is the only one on the shore side of the main street making it easily found. The property has a 4 star Scottish Tourist Board grading and a Silver, Green Tourism Award. Lochcarron with its village amenities close to hand is a perfect location for a Scottish holiday, and for those wanting to explore the west coast and the Isle of Skye further. 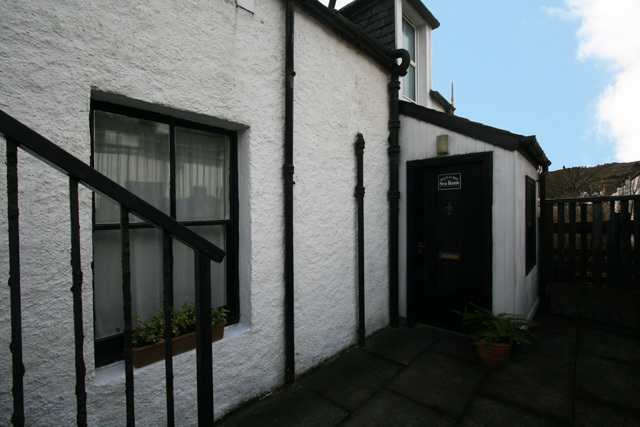 The property which has been upgraded retains its original layout with the sitting room and kitchen on the ground floor, and the bedroom and shower room on the upper level. Throughout the property is tastefully furnished and is equipped to a good standard. 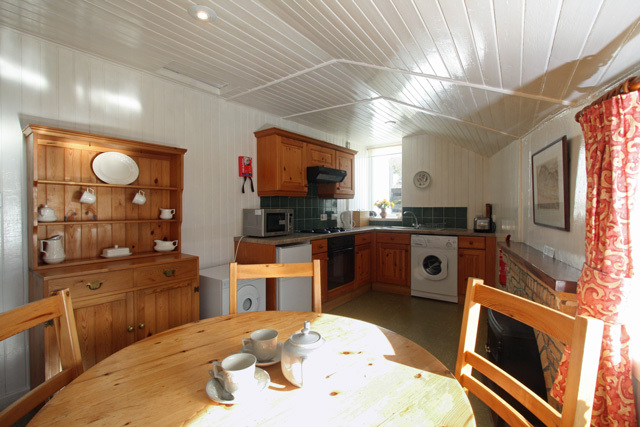 The kitchen has all the usual appliances and has a dining table. 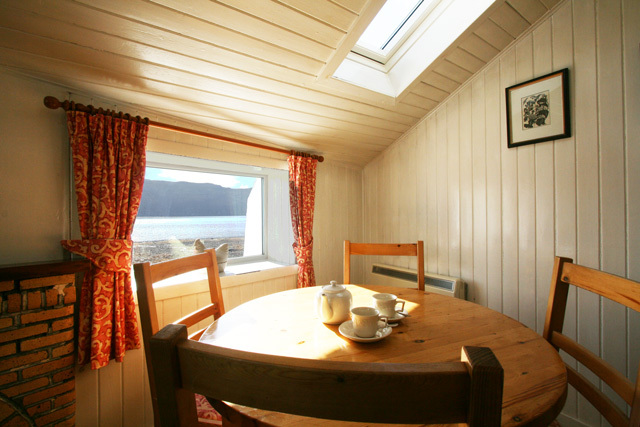 The window in the kitchen offers unrivalled views over the sea loch and at high tide in early spring and October the water can reach the house which makes it particularly unusual. The sitting room has comfortable sofas, an open fire and a flat screen Freeview TV and DVD player. Upstairs the spacious bedroom has twin beds and the modern shower room has a large shower enclosure with an electric shower, wc and whb. Throughout the property has electric heating and fuel for the fire can be purchased locally if required. At the rear of the property the small private courtyard area, with its table and chairs is an ideal place to sit and relax after a day exploring. The property does make an ideal base for exploring the west coast and is an absolute paradise for all those who love the great outdoors. Here you can enjoy various outdoor activities including, cycling, mountain biking, canoeing and sailing. You can drive round the coast past lovely beaches and breathtaking views to visit the small village of Shieldaig and onwards towards Gairloch and Inverewe Gardens, or perhaps head to Applecross approached by the famous Bealach na Ba, one of the highest roads in Britain, and visit the Heritage Centre or have a bite to eat at the well known Applecross Inn. Close-by you can visit Attadale Gardens, offering visitors the chance to explore ancient paths that wind through woodlands, over bridges, waterfalls and exotically planted ponds. Lochcarron also has its own 9-hole golf course in a fantastic loch side location. One of Scotland’s most scenic rail routes, the Kyle Line which runs from Inverness to Kyle of Lochalsh is located just a short distance away at Strathcarron and makes an ideal choice for a day out. The Isle of Skye is located just 25 miles away and is well worth a visit, the island offers a wealth of attractions for the visitor including ancient castles, a distillery, visitor centres, award winning restaurants and some of the best scenery that Scotland has to offer. Sitting room with open fire, comfortable sofas, Freeview TV, DVD, CD, radio. 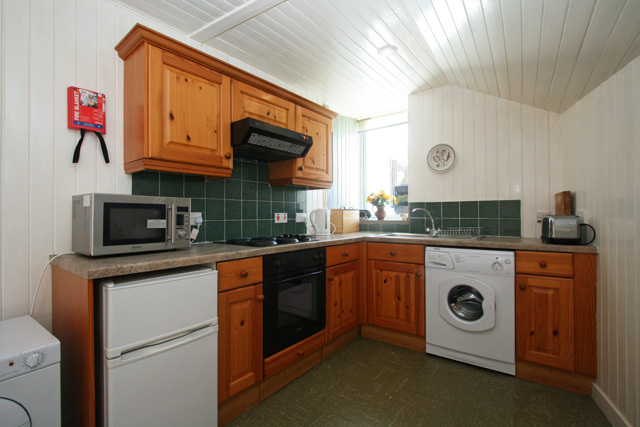 Kitchen, electric oven and hob, microwave, fridge with small freezer, washing machine, tumble dryer, dining table and seating for 4, and all the usual kitchen equipment, electric fire. Shower room with large shower enclosure and electric shower, wc, whb. Small enclosed patio with seating. A maximum of one pet is welcome at the property, there is a £15.00 pet fee per week. 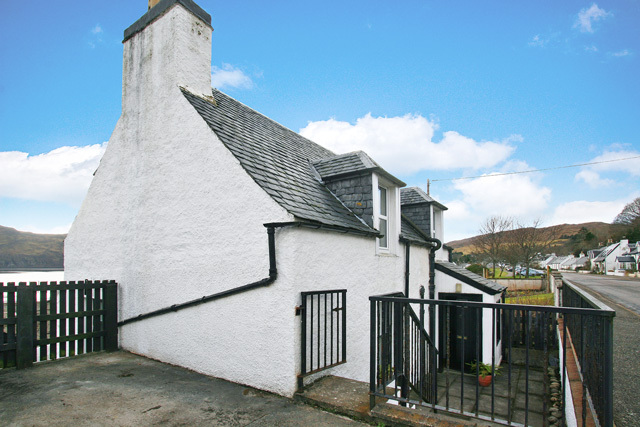 Traditional property with sea loch views. Facilties of Lochcarron a short walk away.